B’town sisters Kareena Kapoor and Karisma Kapoor have never left an opportunity to catch up with family and friends. Kareena was snapped at her mother Babita Kapoor’s house in Mumbai on October 19, 2017. 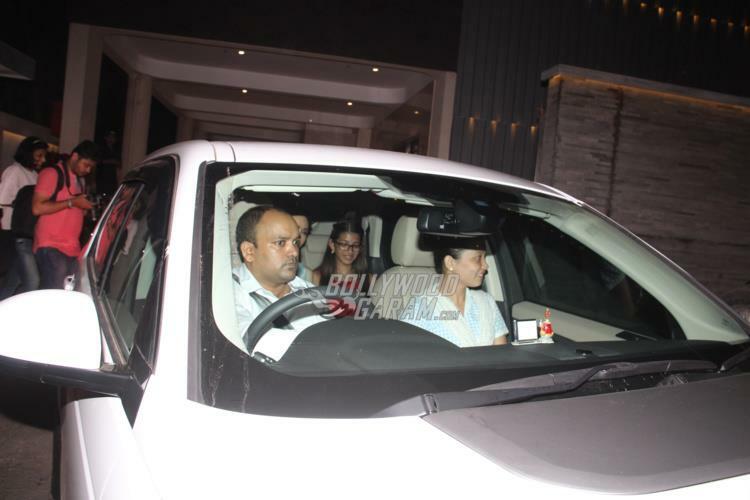 Karisma along with daughter Samiera Kapoor was also snapped visiting her mother. 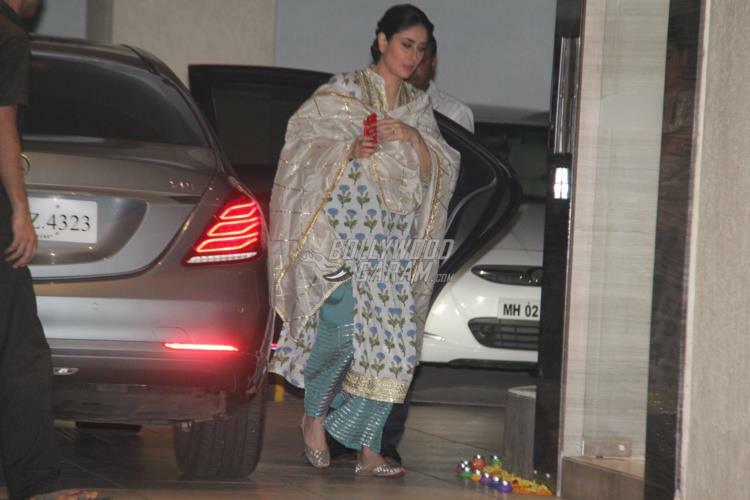 The Udta Punjab actress was seen in an ethnic outfit as she arrived while Karisma too was seen in an ethnic outfit. Daughter Samiera looked pretty in a white and red lehenga. The mother and daughter duo looked great together and were all smiles as they were clicked by the cameras. Karisma and daughter Samiera are often snapped spending quality time with each other. The actress was earlier married to businessman Sanjay Kapur, but the two officially got separated in 2016. Sanjay is now married to Priya Sachdev. Kareena is currently busy with the shoot of the upcoming film, Veere Di Wedding produced by Rhea Kapoor. The film also stars Sonam Kapoor and Swara Bhaskar in lead roles. 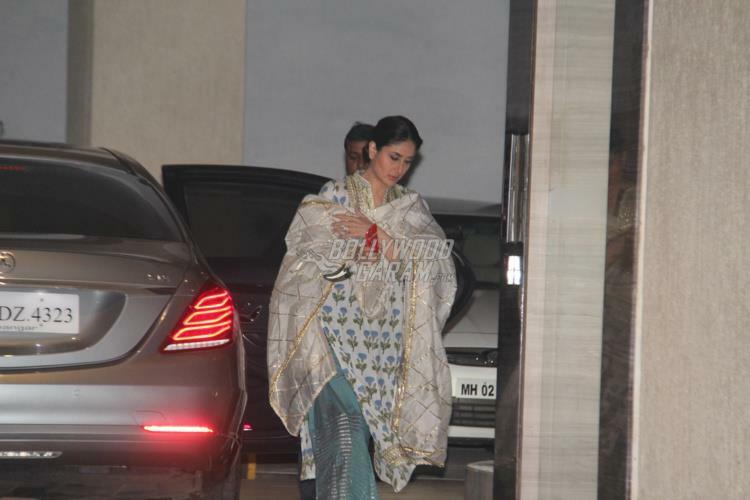 Exclusive photos of Karisma, Kareena and Sameira outside Babita Kapoor’s residence!